2:2 This is the Scripture in which there is no doubt, a guide for the righteous. 2:5 These are the ones guided by their Lord, and these are the winners. 2:38 We said: "Descend from it all of you, so when the guidance comes from Me, then whoever follows My guidance, they will have nothing to fear, nor will they grieve." 2:185 The month of Ramadhan, in which the Qur'an was revealed; as a guide to the people and a clarification of the guidance and the criterion. Therefore, whoever of you witnesses the month, then let him fast therein. And whoever is ill or traveling, then the same number from different days. God wants to bring you ease and not to bring you hardship; and so that you may complete the count, and glorify God for what He has guided you, that you may be thankful. 3:3 He sent down to you the Scripture with truth, authenticating what is present with it; and He sent down the Torah and the Injeel. 3:4 From before as a guidance for the people, and He sent down the Criterion. Those who rejected God's revelations, they will have a painful retribution, and God is Noble, extracting in Revenge. 5:44 We have sent down the Torah, in it is guidance and a light; the prophets who have submitted judged with it for those who are Jews, as well as the Rabbis, and the Priests, for what they were entrusted of God's Scripture, and they were witness over. So do not fear the people but fear Me; and do not purchase with My revelations a cheap price. And whoever does not judge with what God has sent down, then these are the rejecters. 5:46 And We sent in their footsteps Jesus the son of Mary, authenticating what was present with him of the Torah. And We gave him the Injeel, in it is guidance and light, and to authenticate what is present with him of the Torah, and a guidance and lesson for the righteous. 7:52 And We have come to them with a Scripture which We have detailed with knowledge; a guide and a mercy to those who believe. 7:154 And when the anger subsided from Moses, he took the tablets; and in its inscription was a guidance and mercy for those who revere their Lord. 17:2 And We gave Moses the Scripture and We made it a guidance for the Children of Israel: "Do not believe in any besides Me." 18:13 We narrate to you their news with truth. They were youths who believed in their Lord, and We increased them in guidance. 19:76 And God increases the guidance of those who are guided. And what remains of good is better with your Lord as a reward and a far better return. 20:10 When he saw a fire, he said to his family: "Stay here, I have seen a fire, perhaps I can bring a piece from it, or find at the fire some guidance." 20:123 He said: "Descend from this, all of you, for you are enemies to one another. So, when My guidance comes to you, then, whoever follows My guidance, he will not go astray nor suffer." 22:8 And from the people are those who argue regarding God with no knowledge nor guidance nor enlightening Scripture. 22:67 For every nation We have established rites which they are to fulfill. So do not let the matter fall into dispute. And call upon your Lord, for you are on a guidance which is straight. 27:1 T'.S, these are the signs of the Qur'an and a clear Scripture. 27:76 This Qur'an narrates to the Children of Israel most of that which they are in dispute over. 28:50 But if they fail to respond to you, then know that they follow only their desires. 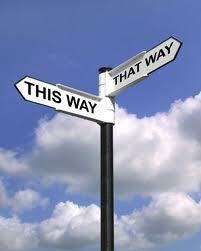 And who is more astray than one who follows his desire, without guidance from God? God does not guide the wicked people. 31:2 These are the signs of the Scripture of wisdom. 31:3 A guide and a mercy for the good doers. 31:4 Those who uphold the communion, and contribute towards betterment and regarding the Hereafter they are certain. 31:5 These are on a guidance from their Lord, and they are the successful ones. 31:20 Did you not see that God has committed in your service everything in the heavens and the Earth, and He has showered you with His blessings, both apparent and hidden? Yet from the people are some who argue about God without knowledge, without guidance, and without an enlightening Scripture. 32:23 And We have given Moses the Scripture. So do not be in any doubt about meeting Him. And We made it a guide for the Children of Israel. 34:24 Say: "Who provides for you from the heavens and the Earth?" Say: "God! And either we or you are guided, or are clearly astray." 40:53 And We have given Moses the guidance, and We made the Children of Israel inherit the Scripture. 41:43 What is being said to you is the same that was said to the messengers before you. Your Lord has forgiveness, and a painful retribution. 41:44 And had We made it a non-Arabic compilation, they would have said: "If only its verses were made clear!" Non-Arabic and Arabic, say: "For those who believe, it is a guide and healing. As for those who disbelieve, there is deafness in their ears, and they are blind to it. These will be called from a place far away." 47:17 And those who are guided, He increases their guidance, and grants them their righteousness. 2:97 Say: "Whoever is an enemy to Gabriel, then know that he has sent it down into your heart by God's permission, authenticating what is already present, and a guide and good news for the believers." 3:96 The first Dwelling established for the people is the one in Bakk'a, blessed, and a guidance for the worlds. 3:138 This is a clarification for the people and a reminder for the righteous. 6:91 And they did not appreciate God as He deserves to be appreciated, for they said: "God has never sent down anything to any human being." Say: "Who then has sent down the Scripture which Moses had come with, a light and a guidance for the people? You treat it just as paper, you show some of it and conceal much, and you were taught what neither you nor your fathers knew." Say: "God has." Then leave them playing in their folly. 6:154 Then We gave Moses the Scripture, to complete for those who do right, and to fully detail all things, and a guide and mercy that they may believe in the meeting of their Lord. 6:157 Or you say: "If the Scripture was sent to us we would have been more guided than they!" Clarity has come to you from your Lord, and a guidance and a mercy. Who is more wicked than one who denies God's revelations and turns away from them? We will punish those who turn away from Our revelations with the pain of retribution for what they turned away. 7:203 And because you do not bring them a sign, they say: "If only you had brought one." Say: "I only follow what is inspired to me from my Lord. This is an evidence from your Lord, and a guide and mercy to a people who believe." 12:111 In their stories is a lesson for the people of intelligence. It was not a narration that was invented, but an authentication of what was already revealed and a detailing of all things, and a guidance and mercy to a people who believe. 16:64 And We did not send down the Scripture to you except that you may clarify to them that in which they disputed, and as a guidance and mercy to a people who believe. 16:89 And the Day We send to every nation a witness against them from themselves, and We have brought you as a witness against these. And We have sent down to you the Scripture as a clarification for all things, and a guide and mercy and good tidings to those who have submitted. 16:102 Say: "The Holy Spirit has brought it down from your Lord with truth, so that those who believe will be strengthened, and as a guidance and good news for those who have submitted." 28:43 We had given Moses the Scripture after We had destroyed the earlier generations; as an example for the people and a guidance and mercy, perhaps they will take heed. 2:16 These are the ones who have purchased straying for guidance; their trade did not profit them, nor were they guided. 2:175 These are the ones who have purchased straying for guidance, and retribution for forgiveness; they have no patience towards the Fire. 9:33 He is the One who sent His messenger with guidance and the system of truth, to make it expose all other systems, even if those who set up partners hate it. 48:28 He is the One who sent His messenger with the guidance and the system of truth, so that it would expose all other systems. And God is sufficient as a witness. 28:37 And Moses said: "My Lord is fully aware of who has brought the guidance from Him, and who will have the best deal in the Hereafter. The wicked never succeed." 61:9 He is the One who sent His messenger with the guidance and the system of truth, so that it will expose all other systems, even if those who set up partners dislike it. 2:120 Neither the Jews nor the Nazarenes will be pleased with you until you follow their creed. Say: "The guidance is God's guidance." And if you follow their wishes after the knowledge that has come to you, then there is none who can help or protect you against God.